Dubai: Uber will soon launch its latest product, Uber Lite, throughout the Middle East, as the ride-hailing company intensifies its drive into the region ahead of its landmark initial public offering (IPO) later this year. Facing stiff competition from local rival Careem, Uber is investing heavily in its Middle East and North African operations, the company’s fastest growing region globally. In a wide-ranging interview with members of the press, Uber’s new general manager in the region, Abdellatif Waked, said that the IPO would not affect the company’s growth in the Middle East, and it would continue to re-invest its profits across the Middle East. He also described how the company is currently seeking to unblock one of the greatest challenges it faces: Smartphone penetration and accessing new customers. “There’s a group of potential [customers] who find it difficult to download the app, whether it’s because of they don’t have a smartphone, or if the technology they have just doesn’t allow them to access Uber,” said Waked. In response to this hurdle, Uber developed Uber Lite for its Indian operation. It is now rolling out the new app, which is — in digital terms — light as a feather at only 5 megabytes (mb), around the same size as a downloadable song, across the Middle East. Already live in Lebanon, Qatar and Kuwait, the general manager said the app would be live across the region by the middle of 2019 at the latest. “The app is designed to be very easy to use, it takes only four taps to get through the whole process, and works on any Android device, and with low network connectivity,” Waked said. “We looked at what the challenges of people ordering Uber here in the region were, and we thought about potential solutions, and Uber Lite is one of the most innovative things we’ve done,” he added. It would provide a lot more access to Uber across the region, Waked said. Conceding that connectivity was not the company’s only problem, he went on to say that pricing was prohibitive at times, too. In December, Uber said it would launch a bus service in Cairo, focused on pooling passengers at prices close to 80 per cent cheaper than a regular Uber car. 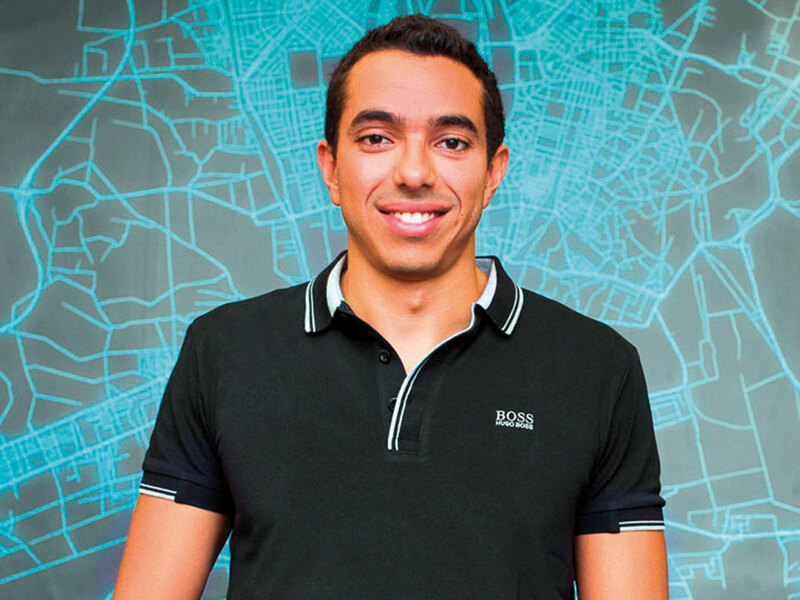 The first time the company has piloted the bus scheme anywhere in the world, Waked said that Egypt, and the Middle East in general, was a “hotbed of innovation” for Uber. Uber’s low-cost services also extend to its scooter programme, which is now live in more than 10 cities the region. “The CEO of Uber announced at the beginning of the year that we want to go from 100 million customers to one billion customers. We cannot just do that relying on our Uber X platform,” Waked said. Introducing new products, including autonomous vehicles, and partnering with public transport systems, would be crucial in this growth, he added. Whether many of these technologies take off is largely dependent on the good graces of the region’s regulators, however. The UAE and countries like the United States have long differed in their approach to Uber: Unlike elsewhere, an average person is not able to simply begin using his or her personal car as a taxi to earn money in Dubai. Instead, all ride-hailing services must use licensed limousine companies. That regulatory position showed signs of weakening at the end of 2018, however, when the government of Abu Dhabi said it would allow Emiratis to drive their own cars on the platform, in a bid to create new jobs for locals. Products such as Uber Bus would require close collaboration with local regulators, he added, in order for the company to feel comfortable investing and innovating further.